First of all, I’m so glad you’re here! Starting a blog is a super rewarding experience and it’s something that I recommend all freelance writers consider doing. 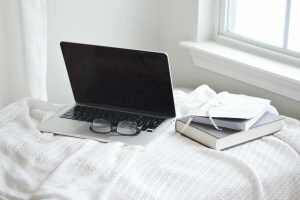 Whether you’re a freelancer or just someone wanting to make money blogging, this post is for you! To be fair, there’s no shortage of “How to Start a Blog” blog posts and by now you’ve probably come across a million of them. Some are great, while others are vague. One of my pet peeves are guides that totally gloss over the details! That’s why I wanted to share how I set up this blog and how I plan to use it as a source of income in addition to freelance writing. Starting a blog is inexpensive. It allows the opportunity to connect with a wide array of people. It helps to sharpen writing skills. Blogging has potential as a great source of income. Blogging is a creative outlet. When I say starting a blog is inexpensive, I mean it. Depending on your hosting provider, a domain name and hosting costs as little as $3.95/month! That’s such a low-stress investment and the best part is, there’s a potential to make a huge profit! Okay, clearly you know that you want to start a blog but do you know what you want to blog about? 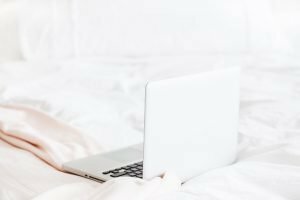 Choosing a blog niche (also known as your blog topic) is super important when it comes to starting a blog that will make money. There are several things to consider. What interests you and what are you knowledgeable about? Do you see yourself writing about this topic long-term? Is there affiliate programs related to your niche? 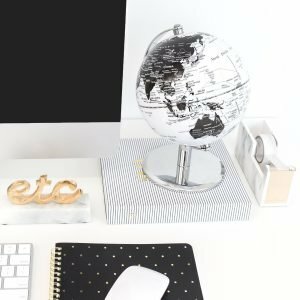 How do you plan to stand out if the market is saturated with other bloggers in your chosen nice? Which of these bullet points do you think is the most important when it comes to picking a niche? You might be thinking that picking a niche with affiliate marketing programs is the key to starting a profitable blog. While that does play a part, you’d be wrong. The most important rule is to pick a topic that interests you! Starting a blog may be a small investment, but it’s money wasted if you get bored and don’t put in the work. Another key to starting a successful blog is to pick a niche that you actually know something about. Blogging about something completely outside of your wheelhouse won’t help your credibility. If you’re going to turn your blog into one that makes money, you need to provide your readers with high quality, helpful content. Once you know what you want to blog about, it’s time for the hard part – picking a domain name! Your domain is basically where your blog lives on the web. For example, my blog lives at www.TheQuietTypeBlog.com. Curious as to why I named my blog The Quiet Type? Read about it here. To make it a little less difficult, there are some basic guidelines to follow when picking a domain name. Keep it short. Having a domain name that is too long will be hard to remember, so you risk the chance your prospective visitors will forget it or mistype/misspell it. Make it easy to type. Don’t include weird slang, spellings, or hyphens in your domain name. The last thing you want is for your audience to end up on a completely different site! Relate it to your niche, but don’t be too specific. Choosing a domain name that ties into your niche is great because it gives your audience an idea of what your blog. Your domain name will also have a built-in keyword, which is awesome for SEO. Just don’t get too specific and limit the potential for growth. For example, Callie’s Cakes will work as a domain name if you bake cakes, but if you also blog about “healthy dinners for two” you might confuse your audience. Make sure it’s available. Do your research and have a back up if your first pick is already taken. An easy way to figure out if your domain name is available is to search for it. You can also use a free domain search like this one from SiteGround. Pro Tip: Before purchasing your domain, check the social media sites you want to use to make sure your handle is available too. Even if you aren’t sure which platforms you want to use, scooping up the name while you can will only benefit you in the long run. 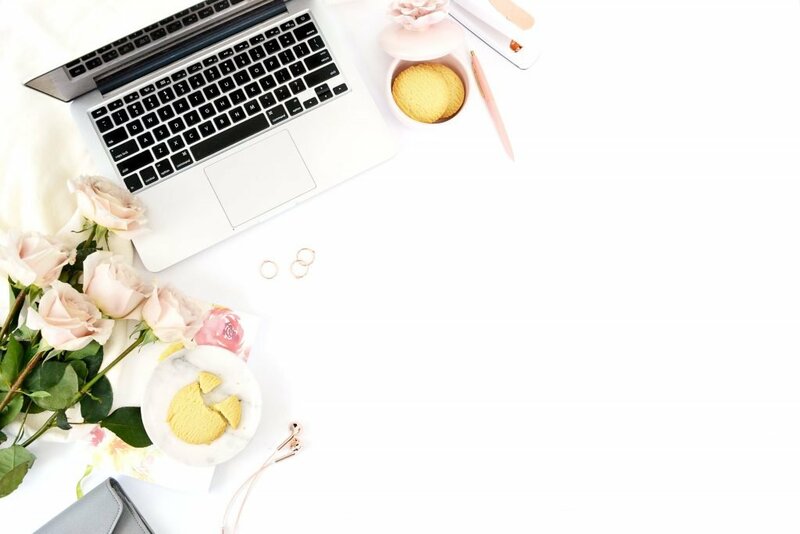 If you’ve done a little research into starting a blog already, you probably have an idea of what a web host is but just in case, here’s what you need to know. Think of your blog as your favorite coffee shop. In order for the coffee shop to do what it does, it needs a place for customers to visit. This storefront holds all of the coffee shops supplies and merchandise, as well as gives their customers a place to enjoy their favorite drinks and pastries. In order for you to provide your content to an audience, you need to have a “storefront.” That’s exactly what a web host provides. Without a web host, your killer blog posts would just sit on your computer and there would be no way to get your content out there for your audience to see. Yes, you can use free blogging platforms like WordPress.com or BlogSpot and save yourself the $3.95/month for a self-hosted blog. BUT (I bet you saw this coming) there are some important reasons to invest in a self-hosted blog. It looks professional. Free platforms often come with an extra long URL like www.yourblogname.wordpress.com or www.yourblogname.wixsite.com/yourblogname. Yuck! First, that’s such a long domain URL to type (see above tip) and second, it looks super unprofessional. If you stick with a free platform, don’t be surprised if visitors don’t invest in you because you weren’t willing to invest in yourself. You’re in complete control. When you pay for web hosting, you get freedom. Not only are you in total control of your content, you can also design your blog any way you like. There’s no shortage of options when it comes to themes, plug-ins and the like. You can monetize your blog. Free platforms like WordPress.com don’t let you advertise third-party content or put ads on your blog, so monetizing your blog is all but impossible. Hosting your blog with a provider like SiteGround means you own your blog so you can advertise any way you see fit. If none of this is important to you and you’re blogging just for fun, then by all means, go with a free platform. But, if your goal is to make money blogging, you can’t go wrong investing in a web host. 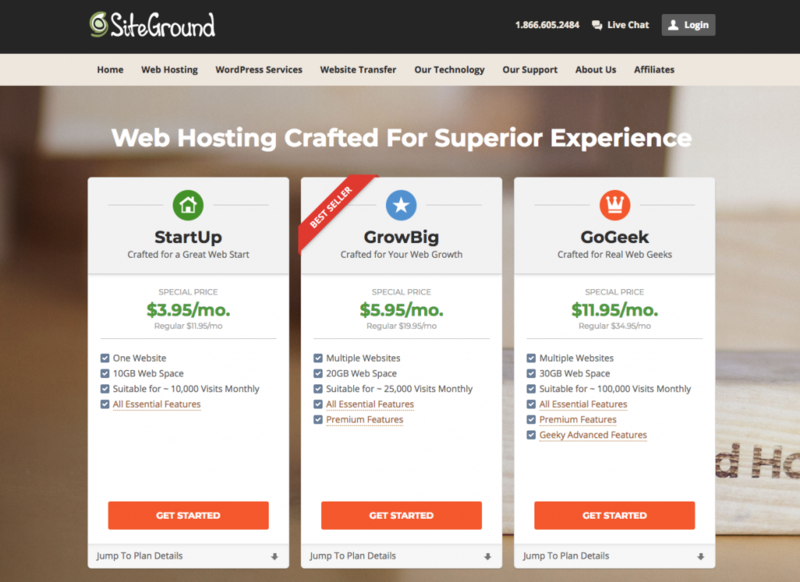 There are so many web hosts available, but the two most common for bloggers seem to be SiteGround and Bluehost. I debated between the two for quite some time before ultimately going with SiteGround. They offer comparable plans and pricing, but what won me over was the great customer service reviews, speed and security of the site, and that it was user-friendly to a newbie like me. I also have plans to move my freelance writing website from Wix to a different web host in the future, and I liked that SiteGround has a plan that offers unlimited websites. Plus, they offer a free website mitigation service whereas Bluehost charges $149.99. After clicking my link, you’ll see the three plans SiteGround offers. I recommend starting with the StartUp plan for now. You can always upgrade later! Take a second to review your choices. Specifically, double check the spelling of your domain name. Nothing puts a damper on the excitement of starting a blog quite like a misspelled domain name! Once you’ve verified everything, click complete. Congratulations! You’re the proud owner of a brand-spankin’ new blog! Woooo! 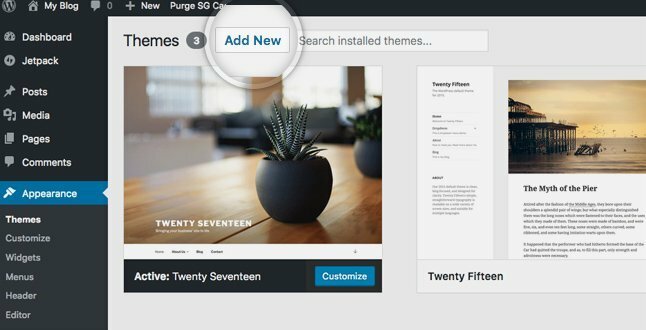 WordPress will automatically prompt you to pick one of the provided themes. If there is one you like, go for it. Otherwise, there are tons of places to find WordPress themes on the web. My current theme is from Pretty Darn Cute Designs and I love it. It was so easy to set up, thanks to the step by step guide provided, and it’s super easy to customize. To add a new theme (if you’ve purchased one) just click “Add New” on the themes page. 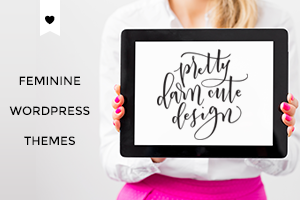 FYI: If you’ve chosen a theme from Pretty Darn Cute Designs, you’ll get a step by step guide to set up your new theme. An “about me” section: Whether a full page or just a little blurb in the sidebar, an about page is a wonderful way to tell your audience about yourself and your blog. I also recommend adding a picture of yourself. Adding a face to the name is a great way to help your audience feel more connected with you. Plus, having one photo of yourself across all your platforms (Pinterest, Twitter, Facebook, etc) will make you easily recognizable. Social buttons: Having social buttons in your sidebar will allow your audience to easily follow you on social media, which has the potential to impact your overall reach. What better way to grow a following than to connect directly with your target audience? Contact page: Invite your audience to get in touch with you! 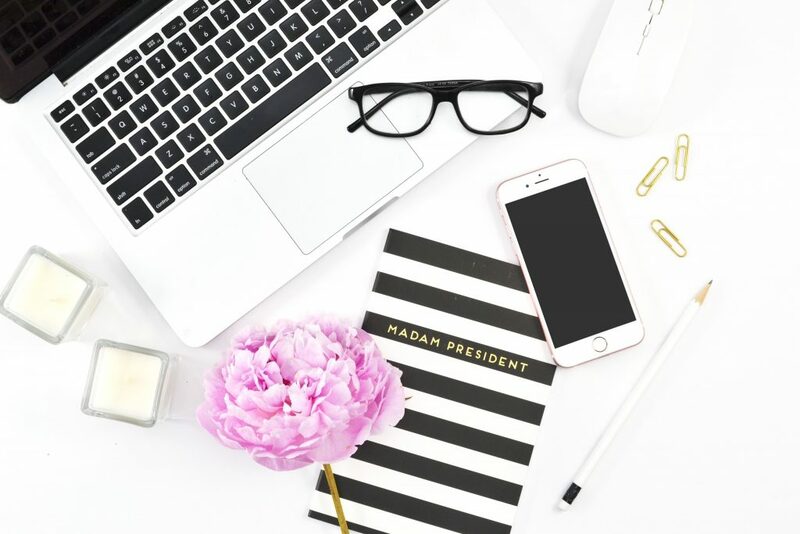 A contact page is also necessary if you want to work with brands for sponsorships, or with other bloggers for guest posting and collaboration. If you want your blog to thrive, one of the most important things to do when starting a blog is to set up Google Analytics. It’s the absolute best way to track what’s going on with your blog in terms of traffic, clicks, popularity, etc. You’ll have to sign up for a Google Analytics account, but connecting it with your blog is a pretty straightforward process. For a more in-depth explanation about why you should set up Google Analytics (and how), this blog post from Ana @ The She Approach is excellent! Selecting plugins for your blog is definitely a personal decision. 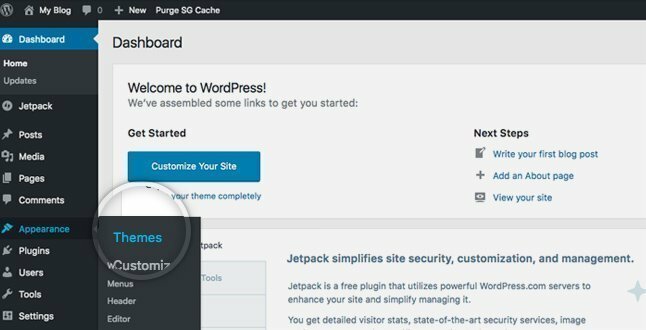 As time goes on, you’ll probably find many new plugins to add or test out, but there are some basic ones that will get you off to a good start if you’re just starting a blog. Yoast SEO: 100% necessary! You will probably hear a lot of bloggers recommend this one! It’s a free plugin that will help you add keywords to your blog posts. Simply select a keyword (the word you think people would search for to find your post) and Yoast will tell you how often it appears in your post and optimizes your text for how it will appear on search engines. It also scores the readability of your post, which has been very helpful for me so far. Pinterest PinIt Button: This is a must have because it allows people to share your post directly to Pinterest from your blog. Pinterest is a huge source of traffic, so having a Pin It button and creating pinnable images is incredibly important. Psst…Wanna know how to use Pinterest to create traffic to your blog and grow a following? Check out my review of Pinterest Ninja! MailChimp for WP: MailChimp is what I currently use for my forms as well as my email list. Using the MailChimp plugin specifically isn’t necessary, but of the ones that I’ve tried and it’s definitely the one I like the best. No matter what plugin you choose, having a subscription popup/bar and contact forms is necessary. It’s how you will grow an email list and how you will connect with your audience. Social Warfare: Social Warfare creates sharing buttons in your blog posts. Having a plugin like Social Warfare lets your readers share the platform of their choice directly from your blog post. It also has a nifty counter so you can see how often and where your post is being shared. As is the goal for a lot of bloggers, making money is a huge incentive when it comes to starting a blog. The problem is, not all blogs are profitable and the “six-figure bloggers” you hear about aren’t as common as they seem to be. However, that doesn’t mean you can’t make a profit from your blog. In fact, tons of bloggers do! It’s not going to be instantaneous, though. Making a profit means promoting your blog building a following, and growing your email list. You’ve probably heard about affiliate marketing by now. It’s one of the easiest, low-stress ways to make a little extra money from blogging. Just like when you read the reviews on Amazon before buying something, creating blog posts centered around products will encourage others to try them too. Pro Tip: Only promote products you’ve actually tried and genuinely like. Promoting everything under the sun will make you seem spammy and money hungry. No one wants that! If you promote products you’ve tried, it will boost your credibility with your readers. There are so many affiliate programs out there, but I recommend starting off with just one or two. Once you’ve gotten a feel for it, you can start applying to other programs and promote their products. Check to see if your web host and WordPress theme provider offer affiliate programs. Most do! Since you’re already using their products and you know you like them, they’re easy to promote! Does affiliate marketing still seem daunting? Or, have you tried it but aren’t having any luck with people using your link? You should check out The She Approach’s Affiliate Marketing Bundle. It’s actually the first training package I ever purchased for my blog, and I was super happy with it. There are a ton of great tips to help you make your first affiliate sale! Affiliate marketing is also effective without a blog, too. Both Pinterest Ninja and Get Paid to Pin are great resources for mastering the Pinterest/Affiliate Marketing combo. Another tip – Add a resources page to your blog and include affiliate links to products you would recommend to your audience. You can check mine out here. Creating your own digital products is also an awesome way to make money blogging. Selling your own digital products, like an eBook or Canva templates, means you get to keep 100% of your profits* rather than earning just a small portion of the sale. Take Coco from Blog Darling, for example. 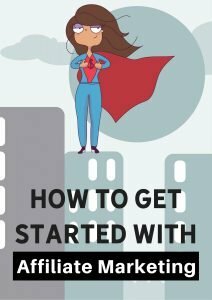 She created an eBook called Get Paid to Pin a few months after launching her blog. It took her just a day or two to write and she sells it for $19 on her blog. So, every time she sells her eBook, she makes either $19 or $11.40 if it’s purchased through someone’s affiliate link. It may not seem like a lot, but it adds up quick! P.S. 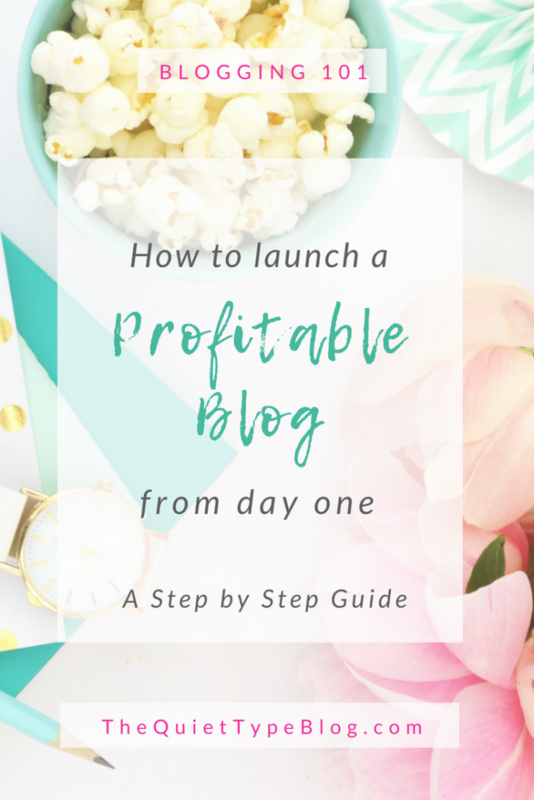 If you want to learn more about starting a profitable blog, Blog Darling is a great resource! This is probably the most ambitious way to make money blogging, especially as a new blogger. It takes a lot of time, research and dedication for a new shop to be successful. If you’ve been blogging for a while, adding a shop to your blog can be super beneficial. If you’re blog is centered around cooking, you could open a shop that sells kitchenware or recipe books. Laura from Yellow Rose Life is a good example of this tactic. Her blog is all about home renovations, diy, and design. In her shop, she sells homemade signs. The options are pretty endless! When trying to figure out what service you can offer, consider what you like doing, what kind of problem your target audience might need solved, and what you enjoy doing. The three ways above are excellent ways to monetize your blog, though there are a few other things you could try. While these can be profitable, they also require your blog to have a ton of traffic and page views. Without high traffic, these ads and sponsored posts won’t be seen and companies don’t want to waste their time and resources on brand new blogs. Don’t get too discouraged though. With a little time and effort you can grow your page views and get there! Plus, having a goal like being offered sponsored posts is a really good incentive when it comes to growing your blog! Phew! This is the longest blog post I’ve written to date! Since there was a lot of information, I think it’s best that we recap a little bit, don’t you think? I hope you found this post helpful, but if you’re still confused or have questions, feel free to reach out! I’m happy to help. Once you’ve got your blog up and running, I’d love to check it out, so leave a comment down below with a link to your blog! Absolutely! I’m still working on growing my blogging income but a lot of bloggers have had really great success. It’s definitely something that takes time and some trial and error, though. The best tip I can offer is to promote things you’ve actually tried and liked in a blog post or email explaining why you recommend it and how it’s helped you. I also have a couple of suggestions for affiliate marketing courses on my resources page, but some affordable options are Get Paid to Pin and the Affiliate Marketing Bundle from The She Approach. If you’re not ready to invest in a paid program though, I think checking out Ana’s blog at thesheapproach.com is a great place start. She’s a master at affiliate marketing and her tips have done wonders for me! Good luck!